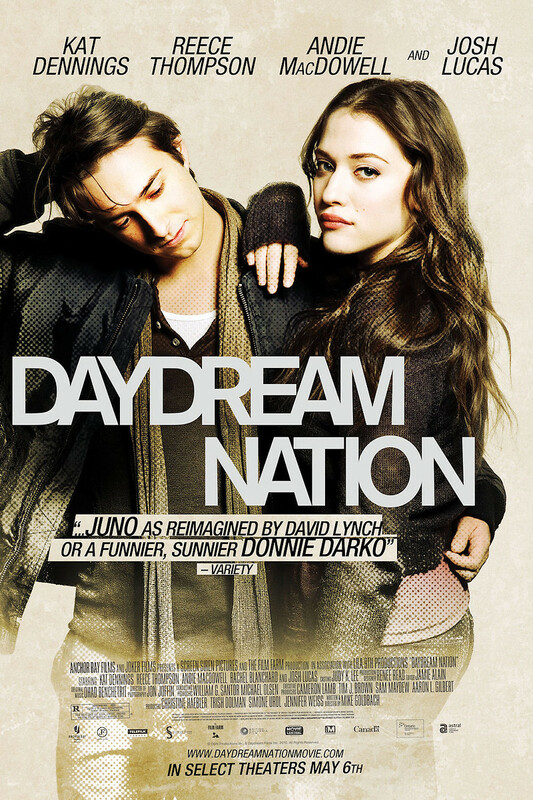 Daydream Nation DVD and Blu-ray release date was set for May 17, 2011. Caroline Wexler is horrified when her father moves them from the city to a small town after her mother's death. Thinking herself to sophisticated for the kids at her new school, she starts an affair with a teacher, Mr. Anderson. Things in the town are far from idyllic, there is a deranged killer on the loose, an industrial fire that firefighters cannot control, and a young man, Thurston, mourns the death of a close friend. When Caroline discovers that she has competition for Mr. Anderson's affection from another girl at school and that Thurston is falling in love with her, she must truly act like the mature woman she thinks she is.